Don’t miss the ability to find the best buy opportunity when you need it. A stock list for dividend investors by dividend investors. 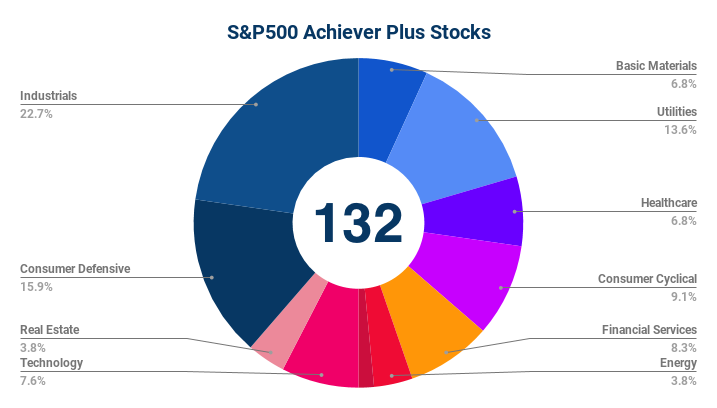 Need proof the S&P DIVIDEND ACHIEVER PLUS LIST is right for you? quoteNo hype or promise of riches. Just the facts on the US Dividend Aristocrats stocks. Not all aristocrats are equal, choose the right one for your portfolio. Dividend Aristocrats & Kings – 61 companies with 25+ years of dividend increases. Dividend Achiever = 71 companies with 10+ years of dividend increases. Check out the full list of blue chip dividend aristocrats. 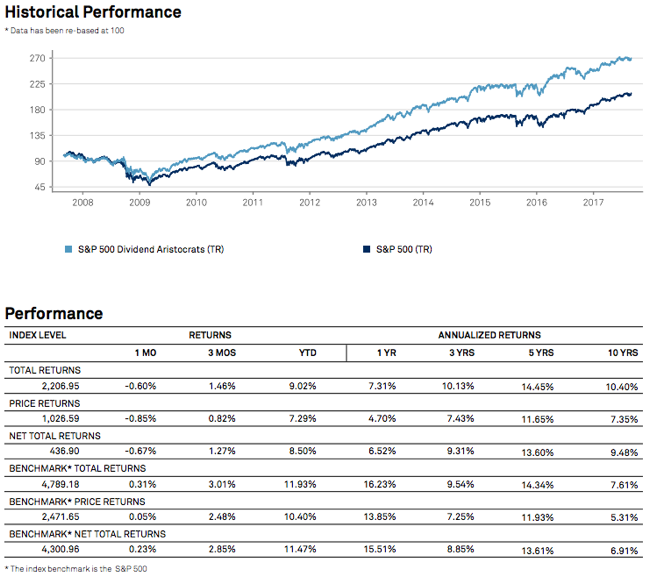 The dividend aristocrats combined have outperformed the SP500 index, imagine what you can do when you pick the best out of the list. All US dividend aristocrats stocks sorted by a proprietary opportunity score value. Over 35 key metrics to sort and filter based on the metrics you prefer. If a high dividend yield matters, sort by yield. If a long history of dividend growth matters, sort by dividend increase streak. If a low P/E matters, sort by low P/E. It’s a comprehensive spreadsheet, combining multiple metrics that matter to you! Below is a sample of a number of columns and you can receive an older sample. you can download the Excel sample to see all the metrics provided.